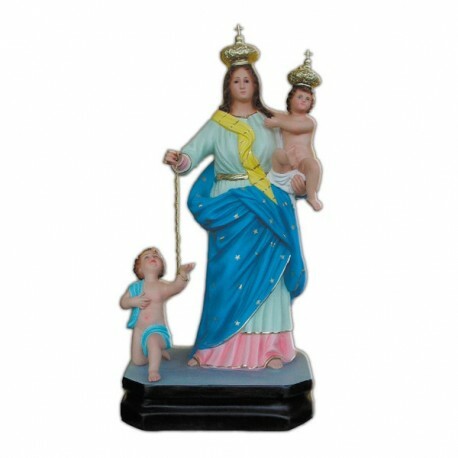 Statue of the Virgin with the Chain, 70 cm. 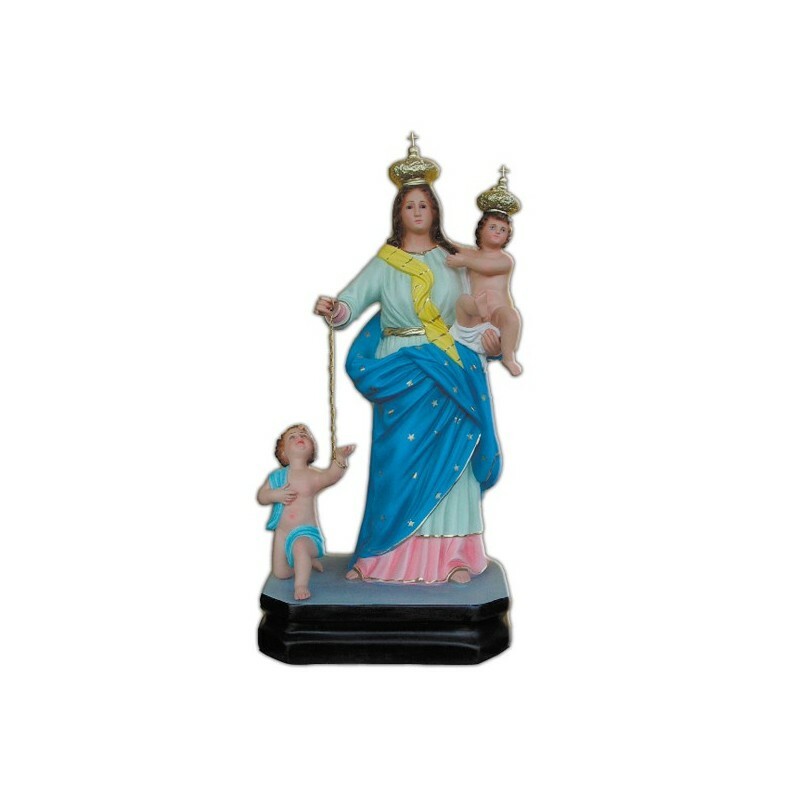 Statue of the Virgin of the Chain, of fiberglass, 70 cm, handmade in Italy. The Virgin of the Chain, Virgin of the Rescue or Virgin of the Slaves, derives from the apparitions and the miracles which happened. They hail from the second half of 500, after the barbarian invasions, that reduced in slavery many people.The Mercenaries Fathers congregation, strived for their liberation. There are many legends that narrate about the miracles. One of the most popular tells us that in 1392 in Palermo, three unjustly sentenced guys were guided to the square to be convinted. They were surprised from a violent storm which made people escape. The convicts and their executioners went in a Church to take refuge, waiting for the execution. The storm lasted and the convicts were tied to the altar, until all the participants fell asleep. The three convicts began to pray in front of the Virgin’s image, begging her for their deliverance. Suddenly, it appeared the Virgin with her Baby who told them “Let’s go and don’t be scared. The Baby I have in my arms has already accepted your worships and he gives you life”. The chains broke, the door spread and the three innocents ran away. Ever since the Virgin of the Harbour became the Virgin of the Chain , the defender of the slaves and of the subdueds. Her cult is widespread in Sicily and in the Southern Italy. The Virgin is the patron of Aci Catena. She is illustrated with the Baby in her arms, wearing the white and blue clothing, the crown and a chain.